It would be very rare among Punekar atleast, who haven't seen Fort Sinhgad. I trekked Sinhgad when I was in second year of Engineering (2003). It was my first fort.Since then I forgot the count of Sinhgad wari. Sinhgad is most popular fort among Punekars due to its close vicinity. It takes 25km ride to reach to base village of Sinhgad, Atkarwadi. From Atkarwadi, you can climb the fort. The route is very well trodden. You can also climb from the other side of the mountain i.e. from Kalyan gaon ( do not confuse by the name. it is tiny village at the base of Sinhgad). There is one more route for climbing the sinhgad from Khanapur side, though this is not frequently used. You can also go on the top of the fort using yor vehicle. Ghat road is available. You can get local buses from Shaniwarwada to reach base village. 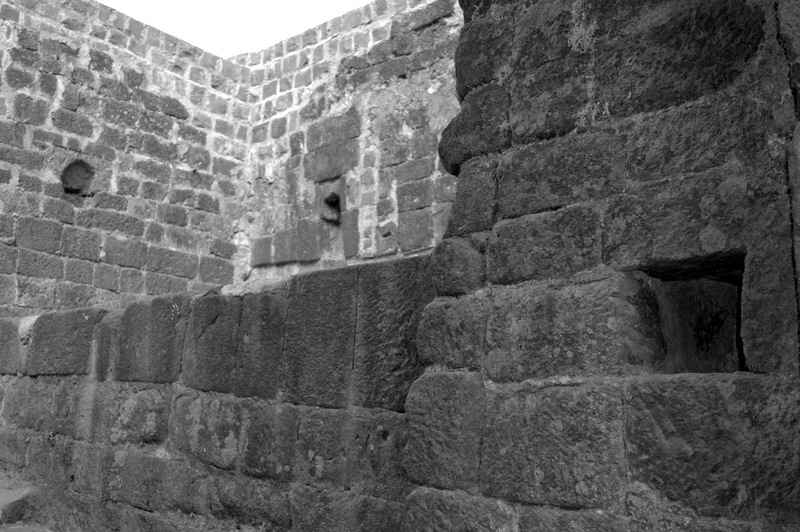 History of the fort cannot be completed without mentioning the heroics of Tanaji Malusare, Shelar mama and other mavlas. There are various remnants of the fort to see: like Pune darwaja, Kalyan darwaja, various bastions, Dev take, Hatti take, Tilak wada etc.